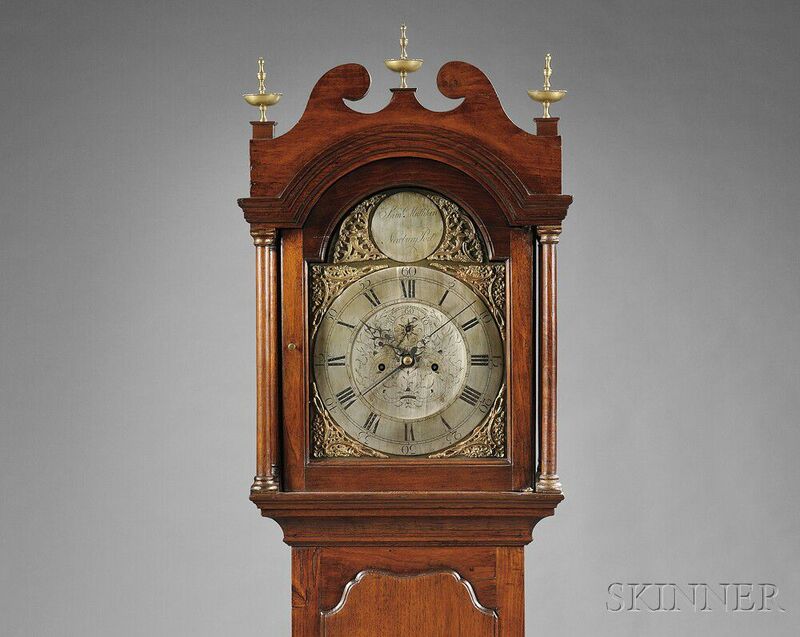 Samuel Mulliken Butternut Tall Clock, Newburyport, Massachusetts, c. 1780, the scroll-top case above the arched glazed hood door and freestanding columns flanking the composite brass dial with silvered Roman numeral chapter ring with five minute Arabic markings, and calendar dial on inner portion of chapter ring, engraved center with seconds dial, cast brass spandrels, and boss in arch engraved Saml. 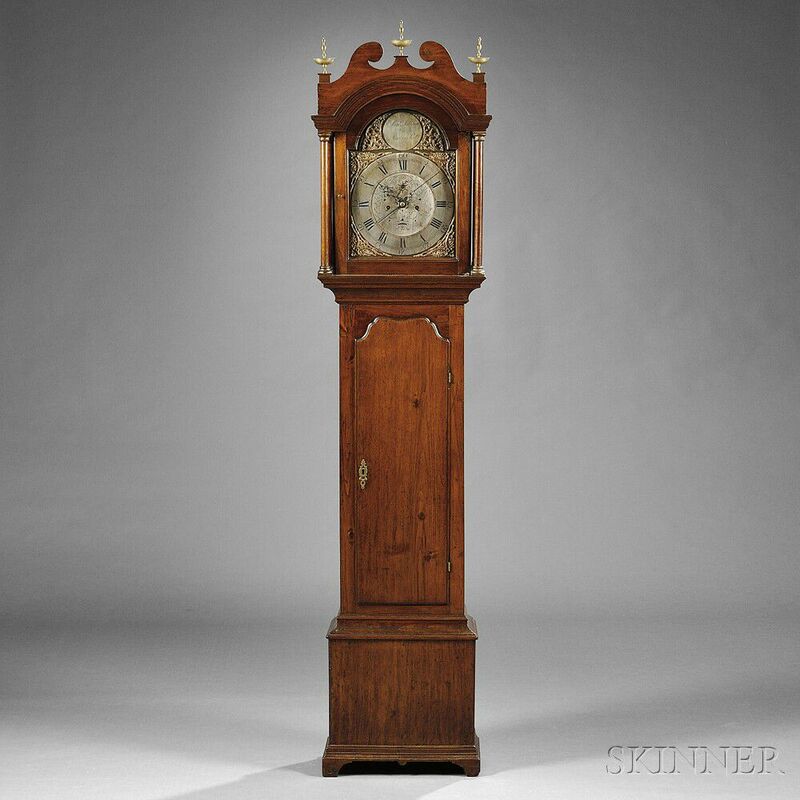 Mulliken Newbury Port, serpentine-top waist door above the molded bracket-foot base, brass, eight-day, time and hour-strike movement, period pendulum and two brass-cased weights, ht. 85 in. No significant repairs, restoration or replacements. Outside plinths and caps, cast finials are replacements.